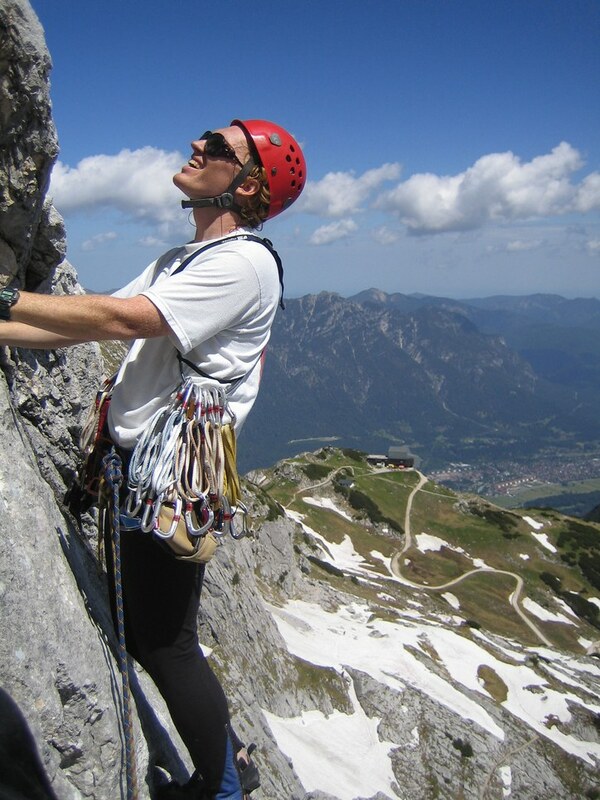 Michael and I climbed the north face of the Alpspitze via the KG-Weg in the Wettersteingebirge near Garmisch-Partenkirchen. I had done the climb a year earlier with Claus-Dieter but we contented with climbing the lower half only. This time it was all the way to the top! The lower half of the KG-Weg consists of 8 fun and well-protected IV+ pitches on solid rock. The upper half has some crumbly rock. It is more secluded, less protected, and more alpine. There was still some snow and small streams where running down. 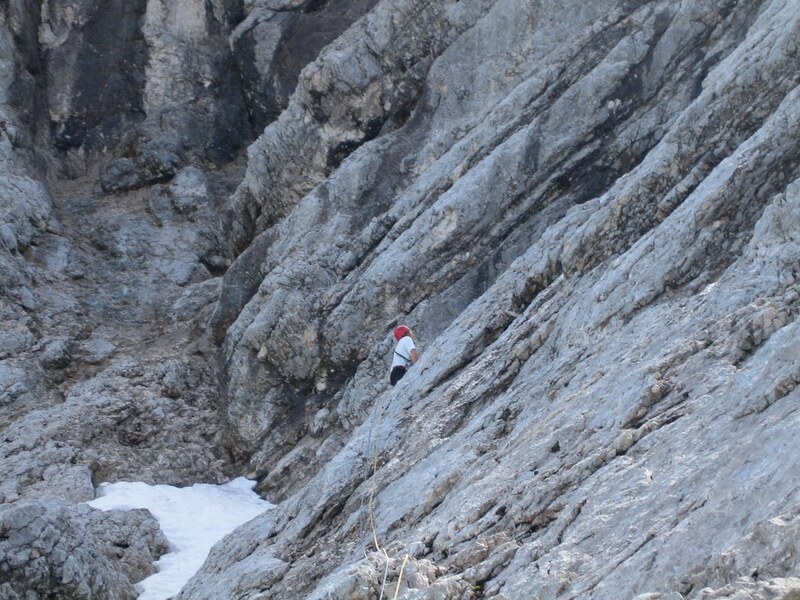 We ran down the Nordwand Ferrata (fun!) to miss the last gondola down to the car by 8 minutes (not funny!). We descended the Hupfleitenjoch into the Höllental to the Höllentalangerhötte in an approaching thunderstorm. 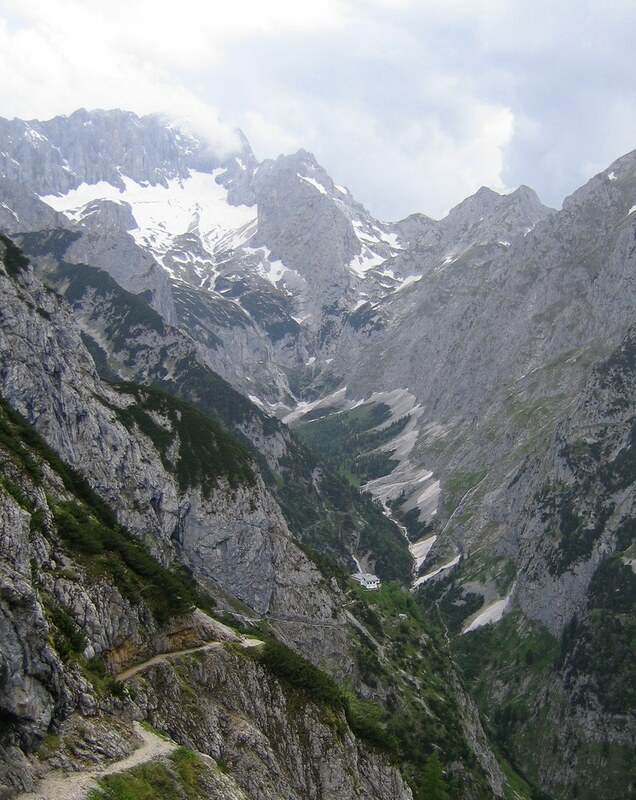 The sights of the Höllental and the Zugspitze where spectacular, the mist and the thunder added an eerie feeling to the scenery. Finished off a great day with milkshakes and greasy food at McDonalds in Garmisch. 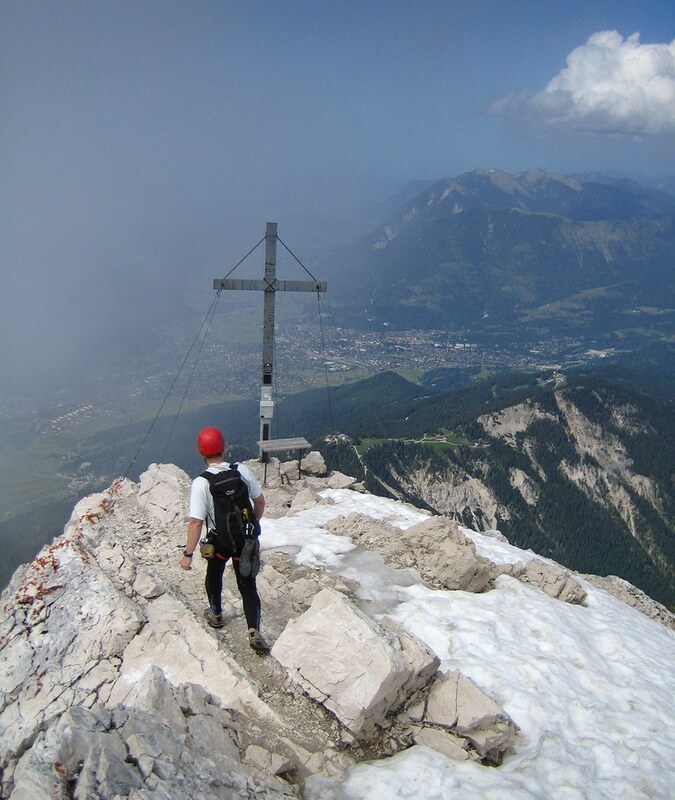 Timing: Start in Munich at 7am, took the first gondola up at 8:30am, started climbing at 9am, summit at 4pm, back down at gondola at 5:08pm, at Höllentalangerhütte at 7pm(? ), back at car at 9pm, back in Munich at 10pm.